We elect our officers at this meeting, and our annual financial report is available. Announcements and information about our demonstration booth at the upcoming NH Sheep & Wool Festival are given. 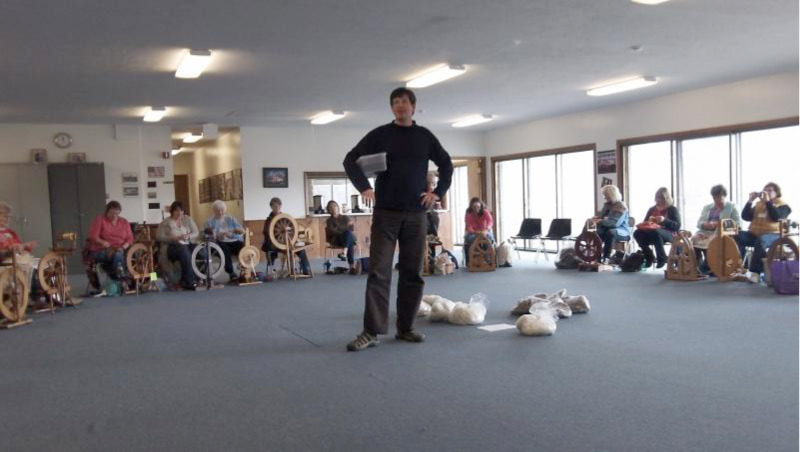 After a potluck lunch, we host a speaker; the subject may be on any aspect of spinning, dyeing, wool, yarn, knitting, designing, etc.